There are several takeaways from this chart: 1) Inflation was essentially non-existent until the creation of the Federal Reserve in 1913. 2) War, which requires massive government spending, promotes inflation. 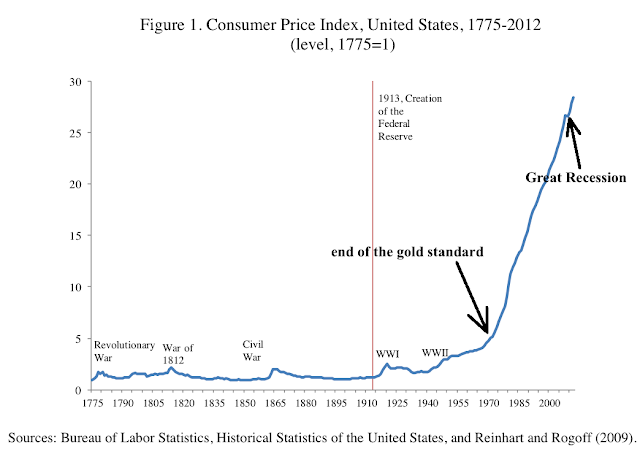 3) Inflation has skyrocketed since Nixon took us off the gold standard in 1971, which gave the Fed a carte blanche to print. 4) Bernanke's concern about deflation is unfounded. See that tiny break in the inflation trendline above the "Great Recession arrow"? That's the deflation he's concerned about. 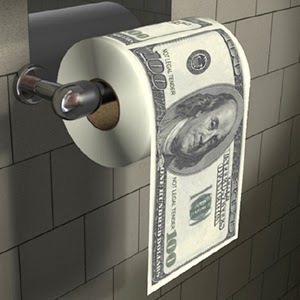 Is it clear enough that the Fed enables deficit spending? 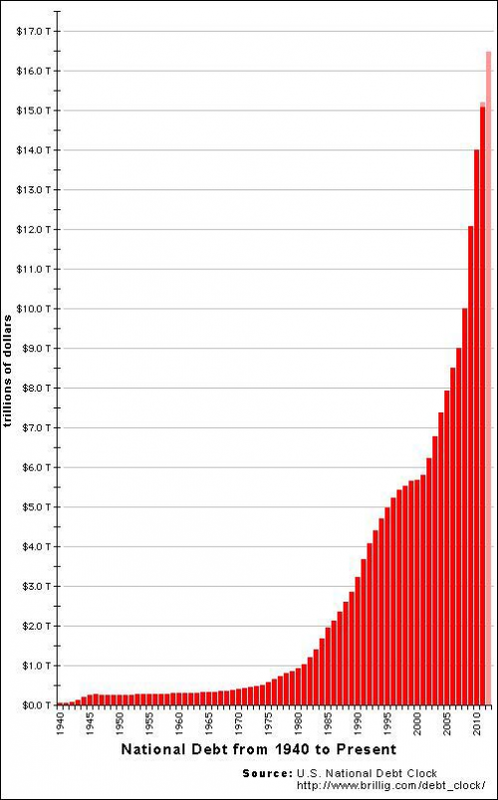 NEXT TIME YOU POST THE NATIONAL DEBT CHART PLEASE PROVIDE SOME HIGH ALTITUDE PILLS FOR US SIMPLE FOLK WHO STILL TRY TO LIVE IN A REALISTIC WORLD...THIS CANNOT GO ON! lennartlive. Thanks for the comment, but please refrain from shouting. Thanks.